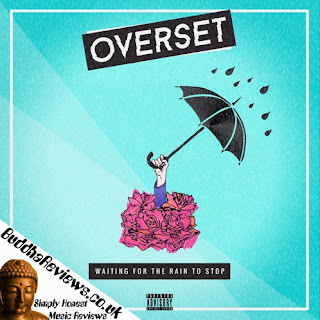 Overset are a Pop-Punk band from Liverpool, UK consisting of Tim Johnston on Vocals, David Lynn on Guitar & Vocals, Josh Pullan on Guitar, Matt Voce on Bass and Connor Brisdon on Drums. This is their debut EP and are a relatively new band on the scene having only formed late in 2017. They cite their influences as The Wonder Years, Real Friends, Trash Boat and Boston Manor so let's see how those bands have influenced them. This six-track EP (is it still an EP at six tracks long?) begins with 'Pretend' which kicks off the EP with deep, distorted guitars; hard-hitting drums and some awesome vocals. This song really gets you energised and features some epic instrumentals. Track two is called 'Better Every Day', utilising tempo changes and focusing on the vocals with the instruments being at a lower volume in places to allow this. Another great Pop-Punk tune to get you moving! Track three is 'Nightmares', a very fast and bouncy song with a great story in the lyrics that make you want to sing along even on the first listen. The fourth song is called 'What I Needed', starting with big drums and those distorted guitars that we have now come to expect with Overset with fast & interesting vocals and a great rhythm to get you dancing. The fifth track is 'The Future Is Now, Old Man' which makes use of tempo changes, harmonic vocals and awesome instrumental sections to make this an interesting song to listen to, keeping you hooked throughout. The sixth and final song is called 'Exit Road', starting very slowly and melodic. This song chills you out before the drums really kick in for the chorus. A very interesting story to follow in this song. I really enjoy the changes in tempo with both vocals and instruments. They certainly know how to keep a crowd entertained. In conclusion, Overset have put a lot of time and effort into making this EP and it really does show. They are making big, exciting music featuring interesting and heartfelt lyrics that will strike home with many people. The musicianship shown in this EP will, I am sure, get these guys on the map and I hope that they will progress further into the music scene as they deserve. Overset are the Northwest England Pop-Punk band to keep your eye on for the future, I expect big things from these guys!